Award winning activity centre in Cornwall, sets the standards! 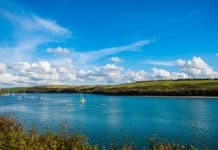 Home Blog Another GOLDen night for Newquay Activity Centre! Another GOLDen night for Newquay Activity Centre! The awards ceremony was held at the Truro Cathedral on Thursday 2nd November where over 79 awards presented to leading southwest businesses. Newquay’s is shining GOLD with businesses leading the way! 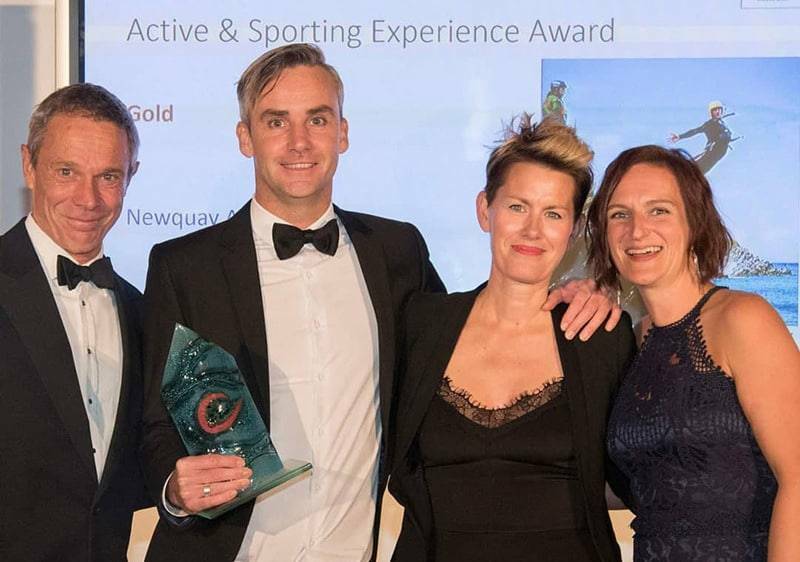 Newquay Activity Centre was able to celebrate its gold success with other Newquay businesses and friends who also picked up gold awards. The Park, Newquay Sea safaris and The Fish House at Fistral Beach were also thrilled to collect gold awards, as did newcomers to the awards, Boardmasters. Paul and Elise Harwood from The Fish House “were blown away by their win for the second year running”. Boardmasters team collected the award and Andrew Topham CEO of Vision Nine said ‘we are thrilled to have won gold and it is an honour to be recognised amongst so many friends, partners and business’. 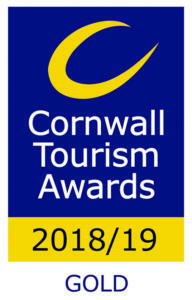 Visit Cornwall Malcolm Bell said “The Cornwall Tourism Awards shines the spotlight of excellence on some of our best and leading tourism operators in Cornwall”. 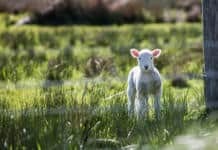 The gold winners will now be included in the South West Tourism of Excellence Awards, which will be held in Bristol in February 2019. Newquay Activity Centre has all the winter equipment ready and will continue to enjoy a good winter season, as they remain open throughout the year. The winter swell has arrived on the coast and many visitors will book lessons to improve their surfing and bodyboarding, whilst others opt for a new challenge and will choose to experience a winter coasteer or Stand Up Paddleboard ocean adventure. Fingers crossed for another gold at the South West Awards in February!